When announcing new features of iOS 10, Apple’s executives went as far as calling iOS 10 the “biggest iOS release ever” in the company’s history. Now while Apple’s claim is debatable, what is not debatable though is that it is a major version release. As you may already know, Apple has released beta version of iOS 10 for developers to check out. 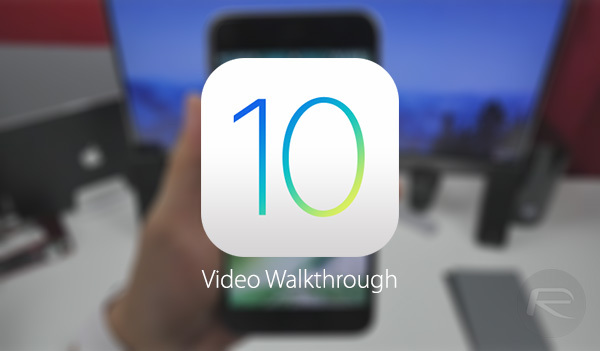 We have been playing with it here on our test devices for the last couple of days, and just like how we do every year with major releases of iOS, we have picked out the biggest features that are part of iOS 10, and have then went hands-on with them on video. Even though we have tried to cover quite a bit on video (it’s a 22-minutes long video! ), there are still plenty more features that were not demoed here because some of them are not active yet, like Apple Pay on the web for example, and also, if we did showcase all of them, it’d turn into a feature film. For a full list of features, we’ll suggest you check out our 60+ iOS 10 Hidden / Secret Features For iPhone And iPad [List] post. Overall, we think you should be excited about iOS 10. The improvements and added features are definitely welcomed to the platform. Without any further delay, here are the biggest changes coming to your iPhone with iOS 10. The video shows old compatibility chart of iOS 10 which Apple later updated. For up to date list of devices that are compatible with iOS 10, please check: iOS 10 Beta Compatibility For iPhone, iPad, iPod touch. I don’t think PIP would go well. I have a iPad Pro 9.7 That I just bought and when working it’s kinda obtrusive wether you’re using 1 app at a time or 2. It’s cool but it would be in the way for sure. Clear all apps and dark theme. Would be cool. PIP has existed. Clear all apps, you don’t need to kill apps in iOS or Android, and only the worst type of users (idiots who think they know a ton more than they do) use this to “clear out memory”. I want iPhoto for the iPhone back, or include all its functionality in the stupid photos app in the phone. If that were remotely true, no one would buy iphones. You’re just that pathetic to lay your ego on your mobile platform. I hope you feel better about yourself later, after yelling at people about things you don’t know about.